Toast of CIBC had several members attend the recent [Nov 20, 2010] District 60 Humorous Speech contest at the Yorkland Hotel. Deborah provided the following report. I didn’t know what to expect. I hadn’t the foggiest idea what a Toastmasters’ Conference entailed. I joined Toastmasters in late 2009 without much knowledge of the club as an international entity. I understood what I knew and had exposure to with Toast of CIBC. I knew how our club ran and who to talk to when I had a concern. I always believed our club has a very good calibre of speakers. I attended club competitions and had a good time watching and listening to the speakers. So when I received that itinerary for the conference, I decided to check out the humorous speech contest. This was my chance to get a sampling of the level of speaking any member is capable of achieving. One has to keep in mind that these are the top speakers from many clubs—the crème de la crème of speakers, so to speak. I was amazed by the ease and confidence these speakers possessed on stage. It felt like each one was a natural speaker by birth. But I’m sure it likely wasn’t the case, since most people who seem to get into Toastmasters are not naturally inclined to be excellent speakers from the get-go. I always thought that our club meetings were strict and very organized but this took the cake. It was as if all the things we do at our club were amplified to make it even more organized and strict! For someone like me, this was heaven. I loved the stringency of organization and flow. Despite this, the humour still spilled from all the speakers (including the host) which let the audience relax and enjoy the show. It was certainly an eye opening experience for me. I hadn’t had the chance to really experience another Toastmasters group’s organized event but this was certainly a new experience that I felt helped me expand my understanding of Toastmasters International as well as being able to take back some styles which these speakers used during their speeches. Hopefully, next time, it will it be you, sharing your experience, with us from one of our contests. A warm and hearty welcome to all, from the Toast of CIBC for 2011, to those who have joined us during this cold and snowy Canadian winter. This year we start off with a bang. We are holding not one but TWO contests: Evaluation Speech Contest on 10 February 2011 and the International Speech Contest on 17 February, 2011. We hope you will join us as a contestant, a contest official, or a member of audience on Thursday from noon to 13H00. The location is CCN 2 Boardroom for both contests. 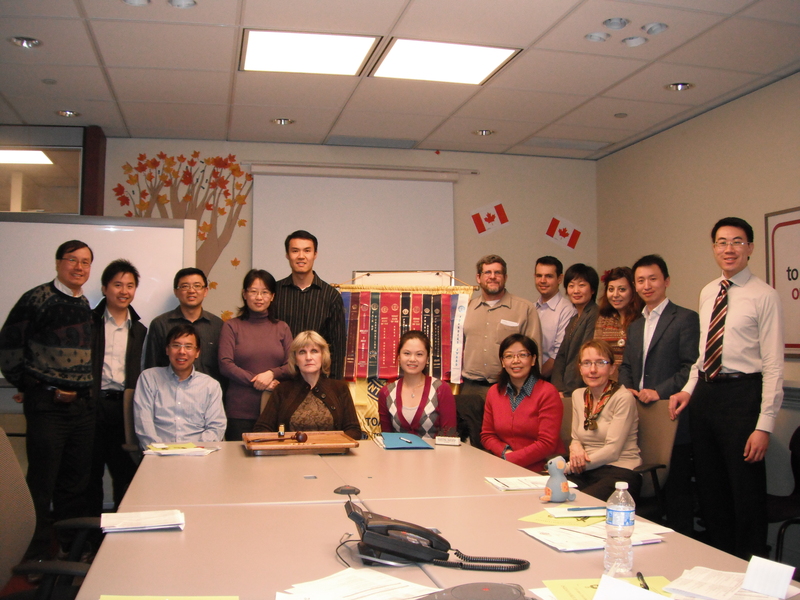 You are currently browsing the Toast of CIBC Toastmasters Blog blog archives for February, 2011.